When it comes to running a successful business, making sure that your customers are completely satisfied with their experience is key. With so much variety in the marketplace, excellent customer service lets you stand out from the sea of competitors, and keep customers coming back for more. One of the ways to make sure your customer service is helping your business stand out, is providing an excellent payment experience that is simple, quick and effective. A new payment terminal can help you be all that and more, and will help your customers pay their way and leave satisfied. Whether you’re behind a terminal or in front of it, one of the things we all hope for is a quick and efficient checkout process when making a purchase. Having a speedy checkout comes down to a few important components: well-trained cashiers, an innovative point of sale solution, and having payment terminals on-hand that are ready to accept any payment type. New payment terminals are comprised of top-of-the-line hardware and software that can process a payment as quickly as the communications line can handle. They’re durable machines that are built to last, and come preloaded with a user friendly interface that’s easy to work with. This means that customers paying with debit, credit, or contactless, will be able to pay for their purchase quickly. 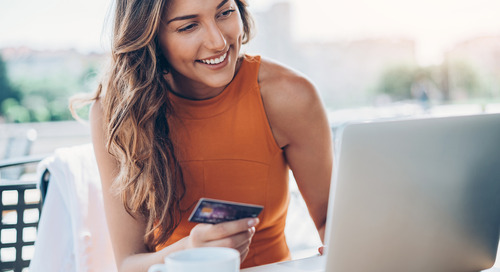 In addition to a speedy checkout, customer service can also be greatly improved by giving your customers a range of options when offering different payment types. The world of payments has grown significantly in the past decade, with the growth of card-based payments and the death of cash changing the scales of the industry. This means that customers are using a number of different tools to make a purchase, from cash and cards, to contactless devices like smartphones or watches. With a new terminal, your business will be able to accept most if not all of these card-based payment types, even if the card isn’t present for the transaction. With the aforementioned quick processing times and advanced software, a new terminal is not only ready to process a payment no matter which way it happens, and get customers out the door quicker. There’s a lot of new things that new terminals can do that their older predecessors just weren’t capable of, and adding extra value to a transaction is one of them. One of the ways new terminals can do this is with software add-ons like Moneris’ Dynamic Currency Conversion (DCC). DCC gives international customers the ability to pay in their own currency right on the terminal, with over 90 currency options. This lets customers feel more confident in their purchase, knowing exactly what the purchase will cost them in their home currency. On top of that, customers may be prompted to spend more at your store, knowing the conversion rate of what they’re buying and not having to worry about if their mental math was correct. DCC is an easy way to improve customer service for international customers, and an option that is available to new Moneris terminals. Interested in learning more about Moneris terminals and the benefits they can offer you? If so, make sure to take a look at our articles The Best Point-of-Sale Terminals for Retail Businesses and Virtual Terminals 101: What They Are and How They Work.